HEMS Helping Encouraging Mentoring Serving HEMS is an acronym for Helping Encouraging Mentoring Serving. HEMS is a support group based in the Halifax Regional Municipality, which is located in the beautiful Canadian province of Nova Scotia. It has been an active support group for more than a decade. Although it is often difficult to make time to get together, we believe it is vital for homeschool families to meet to share experiences and resources. Annapolis Valley Homeschoolers Welcome! Annapolis Valley Homeschoolers is a group dedicated to the homeschooling families of the Annapolis Valley, of Nova Scotia. It is a place to share information on family friendly events, field trips, and curriculum. Our group rules are listed under files. Thank you. Cape Breton Homeschoolers A group for Cape Breton Home Educating parents to chat, plan outings and share ideas. Cumberland County Homelearners Supporting and encouraging homeschooling families in Cumberland County, Nova Scotia. Based in the Oxford area of Nova Scotia, Cumberland County Homelearners is a newly formed support group for any homeschoolers, regardless of your religious beliefs or home schooling philosophy. We will be organizing field trips, physical education opportunities and social events. If you have anything you’d like to do as a group, or a planned event in which you’d like to include other members of the group, please let us know. Home Educators of Northern Nova Scotia We are a Nova Scotian based homeschooling group, who believe that all children should have the opportunity to be educated at home. We support each other on our personal educational journeys, understanding that often our approaches and beliefs may be different, but our common goal is the same. That goal is to offer our children the best childhood, education and opportunities we can. Homeschool Swap: Nova Scotia A local place to buy, sell or trade homeschool related items, specifically for people residing in Nova Scotia (or close to it!). NS Unschoolers NS Unschoolers is a support network and resource page for Unschooling home-educating families, with a strong focus on joyful, relationship building, and compassionate parenting. Pictou County Home Schoolers Wanting to connect with local home schoolers to plan for group activities and get togethers. Sackville & Area HS Group This is a group to help Sackville and area homeschooling families get connected! Saint Francis Home Educators The St. Francis Home Educators is a new group that has been created in response to the growing number of Roman Catholic families choosing a home education for their children. Under the patronage of St. Francis of Assisi, our goal is to connect with other Catholics who are home educating, support each other in our vocation and minister to those discerning home educating. Secular Home Schoolers of Nova Scotia Welcome to our little corner: A support network for freethinking, agnostic and non-believers homeschooling in Nova Scotia. South Shore (Nova Scotia) Homeschoolers This group has been created with the goal of connecting home educating families in Nova Scotia, as well those who wonder about whether home educating is a good fit for their family, or simply wish to share their encouragement from homeschooling in previous years. Special Needs Homeschooling Nova Scotia Hi! This group is for those homeschooling their special needs child or seriously thinking about it. We are a group of parents interested in sharing and supporting each other through online discussions, support group meeting, activities and events.. This group will function best with lots of communication so please share with others and post any ideas for group meetings, coffee time, or events. St. Margaret’s Bay Homeschoolers Welcome! St. Margaret’s Bay Homeschoolers is a group dedicated to the homeschooling families of the St. Margaret’s Bay area. Please feel free to share information on family friendly events and field trips, or discuss curriculum and other topics of interest to the homeschooling community. Waldorf-inspired Homeschooling in Nova Scotia I have created this group for anyone interested in Waldorf homeschooling in Nova Scotia. It is my hope that this group will provide support to those interested in the Waldorf method of homeschooling. It would also be great to arrange some meet-ups and plan some festivals together..
Yarmouth Homeschoolers Beacon A starting point to connect homeschooling families in and around Yarmouth, Nova Scotia. There are a lot of us out there, and although we have chosen to homeschool for a wide variety of reasons, it is nice to have a way to connect. We meet weekly on Wednesdays; please message Bobbiann for the schedule if you wish to attend. 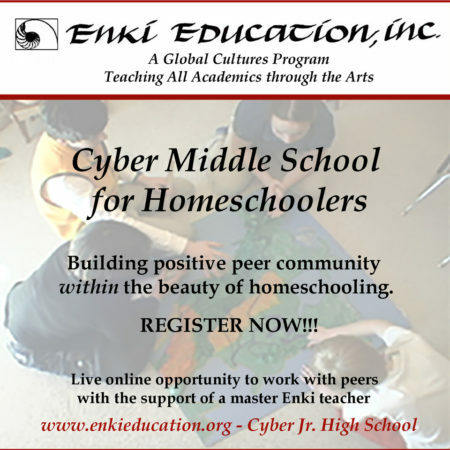 Please join this group if you are interested in being part of a homeschool network for the area. Central Nova Homeschoolers An e-mail forum for those families in the central Nova Scotia area who are, or are planning to, educate their children at home. Our group meets regularly to discuss homeschool issues and to support and encourage one another. This e-list is an extension of our group, where we can share information and uphold each other. Colchester County Homeschool Community This group was created to provide a community bulletin board for homeschooling families in Colchester County Nova Scotia. We welcome homeschoolers from all political, religious, and philosophical orientations however this e-group is not intended as a forum for debate. Instead, the purpose is to share information about upcomming events, activities, meetings, social gatherings, and local happenings of interest to homeschoolers. Home Learners of Nova Scotia We are a province wide discussion list open to all homeschooling families in Nova Scotia. Our goal is to provide a means for homeschooling families to network with others and share experiences, advice, and support. We also hope to aid those new to homeschooling and are working to provide some helpful links in the Links section. We encourage any and all Nova Scotian home learners to join. This group is not affiliated with any official associations, societies, religions or homeschooling ideologies. We are just here to chat. Nova Scotia Home Schooling Events This is a mailing list for home educators and home learners in Nova Scotia to share news of any events, field trips, attractions, locations, etc., that may be of interest to other homeschooling families in the province. We also welcome news of places you have enjoyed that you feel might be of benefit to others.